Note 4: To root or not to root? That is the question? So my Note 4 N910F is running on Android 5.1.1 and I was wandering whether or not I should root it. I've heard that rooting a device can be the best thing you do and in some cases the worst. 1. Could someone just clarify for me what exactly I will get out of rooting my Note 4? 2. Should I root the Note 4? 1. Is my phone still under warranty? If yes, rooting voids your warranty. 2. Am I patient and technically savvy enough to read read read and follow directions? This is no joke. You have to read alot or have some idea what you are doing. If not, you could end up bricking a very nice Note 4 when you could have left well alone. 3. Do I need someone to hold my hand or can I do it by myself? You may get "stuck" somewhere and you have to figure it out. Forums can guide you but they are not by your side and they can only give advice based on what you tell them. 4. Do I have the time to do the rooting process? It can be time consuming. I don't know the Note 4 development community so you'll have to research that. (how long it takes to root). Good luck in whatever you decide. Two of my co-workers have Unrooted Note 4's with Marshmallow (Sprint version) and their phones are so smooth now. They aren't the type to root. They want their phones the way they are. zhris, Laura Knotek, SactoKingsFan and 2 others like this. 1) If you root your phone, you'll lose Android Pay. 2) If you decide to take the next step and install a custom ROM, you'll lose connectivity with some accessories. For example, I went back to stock so that my phone would 'play nice' with my S-View case and Gear S2. There are TouchWiz-based ROMs that will allow them to work, but it wasn't worth the additional hassle for me. Laura Knotek, tube517 and DroidH like this. I've rooted a number of my devices - phones & tablets - in the past and have installed custom ROMs, too. I've since stopped doing it as the benefits were just never that great to me. I enjoyed doing it as I'm a retired software professional but if you run into a problem you can have some real heartburn. My S5 was rooted to my heart's content and ran great for the two years I used it. It took patients and lots of reading to have a good understanding of what I was getting into. If you're not afraid of tinkering with your phone's firmware (and possibly losing warranty), the perks of having full control can be great. I just got my Note 4 earlier this week and have decided to keep it stock. No more fiddling for me and I'm fine with that. Want ad-free Web browsing? Firefox with the ad block add-on works perfectly. Customize my homescreen and lockscreen? Plenty options in the Play Store. Carrier bloatware? Nonexistent since I picked up the 910C variant. Plus I can finally download and install official firmware and security patches. Whatever you go with is up to you, just remember to enjoy your phone. DroidH and tube517 like this. There's a lot to be gained from it but it takes an investment of time that most won't feel is well spent. Out of the box devices these days cover the gamut of needs for the average user well enough that root isn't needed. Those of us who do root will say that we can't live without it. For many of us its just a way of life or a hobby and not seen as a chore or risky at all once the leap of initially rooting a new device is taken. For those new to rooting I personally think the way to go is to leap straight into a custom ROM that is frequently supported by the developer to see some the benefits of root immediately. I say this because in the support thread of the ROM they would get the help that they need in addition to getting a feel for not only the modifications that the developer put into the ROM but the tweaks that others make to it after they themselves have installed it. Personally I love root and will never own an android device that can't be rooted. There's too many things that I've done to my Note 4 to count and I continue to look for new things, it's a hobby and I love it. Some things like custom gesture control or automation are just fantastic. It does void your warranty. Can someone tell me(a newbie) which model note 4 would be the best to root...that is on a GSM network? I have found a few different models and I will be on the At&t network if that matters. N910A, N910T, and N910W8 are all listed as GSM compatible. I am way past warranty so I decided to take a stab at it. Mind you, I did this blindly. I have never rooted an Android at all; however I am fairly tech savvy and can follow instructions well. Once I rooted, it was like a new phone all over again. Rooting breathed some much needed life into my phone. I'm happy with it. 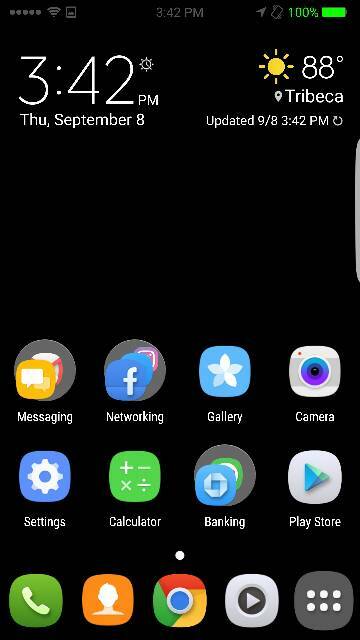 I found a decent combo of ROM and Kernel. I have a working Theme Store (like the only feature I was hoping the Note 4 would see) among other things. I don't use Android Pay or external accessories, so rooting isn't taking anything away from me in this specific case. My battery life is much better. Standby is better. I'm pretty happy thus far. In terms of customization I didn't do much other than customize my status bar to be a little more iPhone esque. I didn't like having everything smashed together on the left hand side. Edit: In terms of customization, I'm talking visual. Under the hood I did a lot. Naptime, Greenify, and Amplify have been my go to apps. It's amazing how many wakelocks are completely unnecessary, yet, are allowed to run rampant. My Note 4 is finally getting standby time that is comparable to the 6S Plus; however, there was quite a bit of tweaking to even get to that point. Is the new version SIM unlocked?